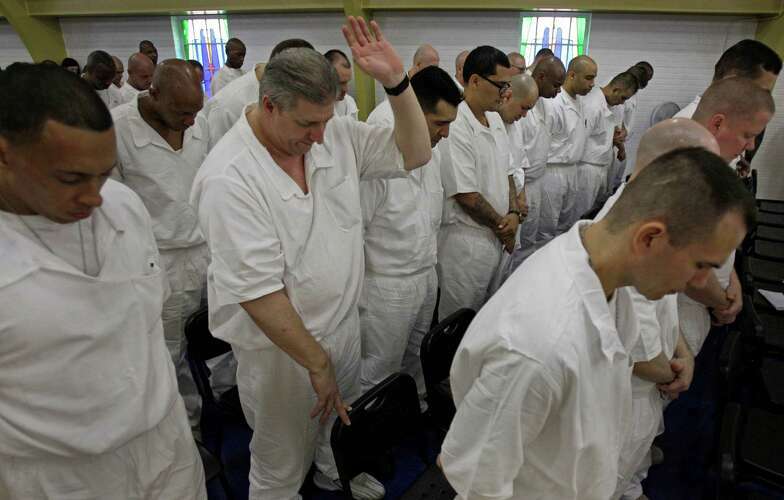 Federal ruling confirms religious rights of Muslims in Texas prisons. On May 1, a federal judge ruled that the Texas Department of Criminal Justice had illegally violated the rights of Muslim prisoners by making it almost impossible for them to practice their religion while behind bars. It would be a whole different matter if the TDCJ refused that opportunity to all its inmates, but U.S. District Judge Kenneth Hoyt pointed out that that was not the case: “The TDCJ knowingly adopted a policy it knew would impose requirements on Muslim inmates’ religious services that could not be satisfied by volunteers or overcome by Muslim inmates,” he wrote. Hoyt’s decision was just the latest chapter in a long history of legal wrangling over this issue, as reported by the Chronicle’s Dane Schiller, (“Ruling: Texas violating rights of Muslims,” Page B1, May 2,) starting in 1969. That’s when a lawsuit was filed to compel the state to comply with a variety of religious requirements – serving porkless meals, permitting Islamic literature and other items – culminating in a legal settlement in 1977. But in 2012, Texas Attorney General Greg Abbott argued that the state should no longer have to abide by that settlement and immediately put new regulations into force. Under these criteria, groups of four or more inmates could not meet without either staff or civilian supervision and could not engage in religious gatherings for more than one hour a week except with those same stipulations. In his ruling, Hoyt pointed out that especially in rural areas, there are not enough Muslims in Texas prisons to meet those demands, adding that the TDCJ was illegally favoring Christian inmates because there are more than enough Christian civilians and chaplains to conduct prison services. The ruling also noted that in Texas, some Jewish and Native American prisoners are purposely housed together so they can further share and practice their faith, but no such arrangements are made for Muslims. Under Hoyt’s ruling, the state must abide by the 1977 agreement, which allows prisoners more than an hour of religious activities a week, without needing the presence of either prison clergy or a civilian supervisor. Schiller reports that prison officials declined comment, but that an appeal is expected, which would allow it to continue the current restrictions unless and until the higher court rules otherwise. We urge the state not to appeal Hoyt’s ruling. It’s a modest, inexpensive change that affects a small number of inmates. Only about 6,000 of the state’s approximately 151,000 prisoners are Muslims, and there are just five imams employed by the Texas prison system among its 111 units. We should welcome the chance to give these individuals, often isolated, far from family and friends, the opportunity to practice and take solace from their faith, as other prisoners can.